Are you planning on writing the CTTIC Certification exam next year and want to prepare by practicing? You may choose to write your CTTIC Certification Practice exam for Translation from home* or in a classroom setting in order to get a better idea for what it feels like to be in that environment while writing your exam. To verify on the availability of a Practice Exam for Interpreters and Terminologists, please contact us at [email protected]. *Please note only members in good standing are eligible to write this exam from home. – Candidates may wish to translate only one text, or two texts in order to imitate the actual exam in full. – You will translate text(s) from your “source language” to your “target language” (this information will have been provided to us in your ATIO Membership Application form). – Selected text(s) will be approximately 200 words in length and it will be in the same nature as the compulsory/optional texts used in the actual CTTIC Certification exams. – If you choose to translate one (1) text, the maximum duration of the Practice exam is 1.5 hours. – Only registered Candidates can sit for the exam or complete it from home. – One marker will be assigned to each exam and they will apply the CTTIC marking guidelines when marking the exams. – Unlike with the actual CTTIC exam, you will receive a marker’s comments sheet as well as your marked exam to make sure that this is a fully educational experience for you. 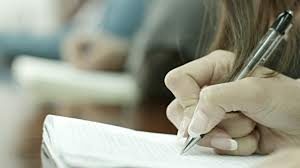 The feedback provided should give a reasonable idea of whether you are ready to take the actual exam and, if not, where you need more work. – Candidates are reminded that even if they achieve a passing mark, they might not necessarily pass the certification exam, but if they fail, the chances are high that they will fail the actual exam. – You will be notified of your results by e-mail. Examination papers will not be returned to candidates. The minimum time required for marking exams is six (6) weeks. – Candidates may take as many practice exams as they wish.